Sword Maintenance Kits for sale are made for all types of swords and blades. This popular sword care kit contains traditional pieces intended for sword maintenance including blade oil, an oiling cloth, a polishing powder ball, a brass awl and hammer. 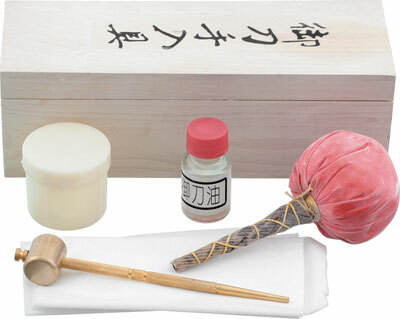 It is presented in a fitted wooden box. Buy these Sword Maintenance Kits for $14.99.